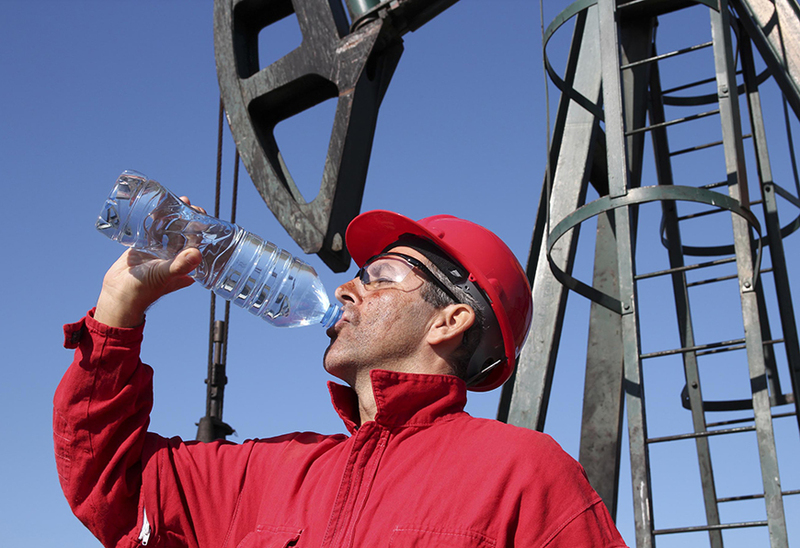 On May 27, 2016, the Texas Supreme Court, in a case of first impression, added a new dimension to groundwater law by applying a rule previously limited to oil and gas to groundwater exploration and production. The rule is known as the accommodation of the estates doctrine (the doctrine), which was first recognized by Texas courts in 1970. The doctrine requires producers of oil and gas (and now groundwater) to accommodate any pre-existing uses being employed by the surface owners. The initial case, Getty Oil v. Jones, involved two pump jacks being installed inside an existing irrigation pivot. The height of the pump jacks prevented the operation of the pivot. The court ruled that even though the mineral estate is dominant over the surface, t​he mineral lessee must accommodate (or give due regard to) any pre-existing uses of the surface by the surface owners. In this case, the court required Getty to either install shorter pump jacks or place them in cellars. The facts of the present case, Wiley v. City of Lubbock, fall short of any pre-existing man-made uses of the surface. Instead, the surface owners raise environmental concerns. Here are the facts. The plaintiff owns Coyote Lake Ranch (the ranch). It consists of 26,600 acres in the Texas Panhandle. The surface owner uses the ranch primarily for agriculture, raising cattle, and recreational hunting. Most of the ranch consists of sand dunes with natural grass cover. Groundwater comes from the Ogallala Aquifer. The aquifer serves as the principal source of water for the Texas High Plains including the City of Lubbock (the city), which is about 90 miles southeast of the ranch. Well locations: The city has the full . . . rights of ingress and egress in, over, and on the ranch, so that the city may at any time and location drill water wells and test wells on said lands for the purpose of investigating, exploring, producing, and accessing the percolating and underground water. However, no wells could be drilled or located within a quarter of a mile of any presently existing windmills. Surface use generally: The city has the rights to use all that part of the ranch necessary or incidental to the taking, producing, treating, transporting, and delivery of the water. Surface use specifically: The city may construct certain specified facilities, including water lines, fuel lines, power lines, communication lines, barricades, and access roads on, over, and under the land necessary or incidental to any of the specified operations. install gates and cattle guards on its roads. Prior to 2012, the city had drilled seven wells on the northern edge of the ranch but published plans for an additional 80. The ranch objected to the proposal because it would increase erosion and injure the surface unnecessarily. The city claimed it was acting within its contractual rights granted in the deed. Unable to reach an agreement, the city began mowing extensive paths through the native grass to prospective drill sites. The ranch sued to enjoin the city from proceeding. The ranch pleaded, in part, that the city “has a contractual and common law responsibility to use only that amount of surface that is reasonably necessary to its operations” and “a duty to conduct its operations with due regard for the rights of the surface owner.” The city contended that it had full rights under the terms of the deed (not a lease) to pursue its plans. The law imposes no duty on groundwater owners, as it does on mineral owners, to accommodate the surface owner or estate as suggested by the ranch. At the temporary injunction hearing, the ranch’s manager testified that mowing or removing vegetation from the surface causes destructive wind erosion, exacerbated by cattle tromping the mowed paths. According to the manager, wind, drought, and grazing cattle prevent grass from growing back, particularly in the areas the city mowed that happened to be the sandiest, hilliest part of the ranch. The elevated power lines leading to the wells would allow hawks to roost and prey on the Lesser Prairie Chicken, a threatened species for which the ranch is a natural habitat. He proposed an alternative plan for different well sites and fewer roads. erecting power lines to proposed wells. The city appealed. The Court of Civil Appeals reversed the trial court’s decision, holding the accommodation of the estates doctrine does not apply unless one estate is dominant over the other. Groundwater is not dominant over the surface estate. The ranch appealed to the Texas Supreme Court. The Texas Supreme Court reinstated the injunction, in part, and held that the doctrine applies to groundwater exploration and development when the groundwater has been severed from the surface estate. Here are the three requirements for the application of the doctrine according to prior oil and gas cases. The surface owner (the ranch in this situation) must prove that (1) the city’s use of the surface in the exploration and production of the groundwater completely precludes or substantially impairs the ranch’s existing surface use; (2) the ranch has no available, reasonable alternative to continue its existing use; and (3) given the particular circumstances, the city has available reasonable, customary, and industry-accepted methods to access and produce the groundwater and allow continuation of the ranch’s existing use. Apparently, the high court based its decision on the competing needs of the two estates to use the surface, as well as on the similarities between groundwater and minerals. The fact that there were no pre-existing man-made uses of the surface to the extent required in prior oil-and-gas cases was not an issue. Here is what the court said. The accommodation doctrine is based on the principle that conflicting estates should act with due regard for each other’s rights. This has provided a sound and workable basis for resolving conflicts between ownership interests. The paucity of reported cases applying the doctrine suggests that it is well understood and not often disputed. We have applied the doctrine only when mineral interests are involved. But similarities between mineral and groundwater estates, as well as in their conflicts with surface estates, persuade us to extend the accommodation doctrine to groundwater interests. Groundwater and minerals both exist in subterranean reservoirs. . . . An interest in groundwater can be severed from the land as a separate estate, just as an interest in minerals can be. A severed groundwater estate has the same right to use the surface that a severed mineral estate does. Both groundwater and minerals are subject to the rule of capture. And both are protected from waste. These similarities led to the holding in Edwards Aquifer Authority v. Day that groundwater, like oil and gas, is owned by the landowner in place below the surface. Common law rules governing mineral and groundwater estates are not merely similar; they are drawn from each other or from the same source. The dispute here over the city’s right to use the ranch is much the same as the disagreement between Getty Oil and Jones involving the installation of a pump jack within a circular irrigation pivot. Resolution of both requires an interpretation of the severed estate’s implied right to use the surface. The accommodation doctrine has proved its worth in such cases. The court imposed some limits or refinements on the application of the doctrine to groundwater. These limitations or refinements may apply to oil and gas exploration and production as well. First, the doctrine applies only when the groundwater has been severed from the surface estate by deed or reservation. Without the severance, the doctrine does not apply to groundwater. However, this limitation does not apply to mineral leases. Why? Simply put, a mineral lease in Texas is a deed, not a lease. The mineral lease (deed) acts to sever the minerals from the mineral or surface estates or both. For this reason, the application of the doctrine to environmental concerns may have a far greater impact on future oil and gas exploration and production than on groundwater because of the number of transactions. Second, the court appears to apply the doctrine to situations where the groundwater deed does not fully describe the range of permitted surface operations. The court ruled the doctrine resolves conflicts between a severed groundwater estate and the surface estate “that are not governed by the express terms of the parties’ agreement” (emphasis added). The contractual provisions in question gave the city the necessary or incidental, necessary or useful, and necessary and conventional rights to pursue its surface operations on the ranch. Three of the judges in this decision felt that the language adequately described the city’s right to select well sites but not the city’s selection of the paths, roads, and power lines. So, for every disputed drafted agreement, the courts may have to decide whether due regard was given to the surface owner. The court may have unknowingly extended the doctrine beyond groundwater and mineral exploration and production. When the Court of Civil Appeals refused to apply the doctrine in this case, it stated that the doctrine applies only when one estate is dominant over the other. The high court countered this argument by stating that the dominance theory is really a matter of semantics. Could this “benefit” serve as the basis for the application of the doctrine to easements? Easements have the servient and dominant estates. The servient estate is the one being crossed and the dominant estate (the benefited estate) is the one with the right to cross the other. Surface owners would welcome the right to object to the installation of pipelines based on environmental concerns. It will be interesting to see how this case impacts future reservations of groundwater. In the past, many surface owners sold the surface and retained the groundwater rights. According to this case, without a detailed description of surface operations in the reservation, the accommodation of the estates applies to all aspects of exploration and production. Consequently, future reservations of groundwater may become more complex by attempting to detail surface operations. Otherwise, surface owners will be able to use the doctrine to determine how the groundwater will be explored and produced. Finally, will the high court continue to recognize environmental issues as valid reasons for applying the doctrine? If so, this may expand litigation regarding surface operations for the exploration and production of oil and gas. Fambrough (judon@tamu.edu) is a member of the State Bar of Texas and former lawyer with the Real Estate Center at Texas A&M University.